For gundog training, field trials, working tests become a member of The Wilsthire Working Gundog Society. Simply fill in the form online or print out a copy and send it back to us. Follow the instructions below. Should you prefer to complete the application form by hand, you may print out a blank form. Complete the application form below by typing into the form on your screen. Save the form and then print it out. Ask your proposer and seconder to complete their section. Return the membership application form to the membership secretary with payment of your one-off joining fee of £5 and the first years membership subscription. Address can be found on Forms page. Send your application form and cheque by post to the membership secretary. Once your membership is approved complete the standing order form and send it to your bank. Alternatively complete your bank’s online standing order instruction. Please see notes on Annual Renewals below. 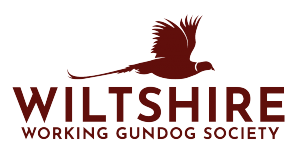 Cheques must be made payable to the Wiltshire Working Gundog Society. On receipt of your membership application and cheque, the Membership Secretary will email to acknowledge. Your application will then be held and presented at the next Society committee meeting for consideration and approval. Once your application is approved the Membership Secretary will email to confirm your membership and welcome you to the Society. Please note: until a membership application is approved by the committee, an applicant is not a member and does not receive membership benefits e.g. preferences in a draw for any of the Society’s events, Tests or Field Trials. The first year’s membership may be a part year. Subscription renewal payments are due via standing order on 1st January annually. Renewal reminders are not issued by the Society. Note that a lapse of membership due to non-payment will not be notified by the Society.